Many patients who visit Main Beach Dental require a deep cleaning, sometimes known as a scaling and root planing. 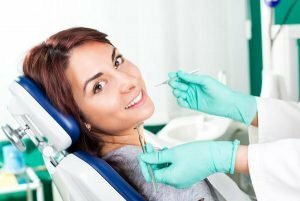 Those words may sound serious and threatening, but in fact the deep cleaning treatment is non-surgical and does not require any slicing or drills. A deep clean is what we recommend when a patient is diagnosed with the first stage of gum disease (gingivitis) because a regular cleaning only involves scraping plaque off the teeth and does not get to the roots of your teeth. If you suffer from gingivitis we work to remove the infection, promote healthy gum re-attachment, and halt gum infection before it can advance into periodontitis.